Fuzine (Fužine) are located in the evergreen Mountains of coastal hinterland. Highlands (Gorski kotar) is a place of primeval nature, deep meditation and rural architecture. Fuzine (Fužine) are part of a spacious, naturally preserved mountains full of peaceful and fresh air, surrounded by National Park Risnjak, park forests, lakes, rivers, creeks, meadows...Were they a person, they would be reckless, an excellent cook of various gastronomic delights, and fan of forests and biological diversities. Fuzine (Fužine) preserve traces of prehistoric settlement, which extend throughout the Kvarner, all the way to Gorski kotar. The green area is located in the hinterland of the urban coastal region, protecting it from unfavorable climates, at the same time bringing together the mountains and the coast. This is a destination of highly valuable ecologically preserved nature on three lakes and special mountain gastronomy. 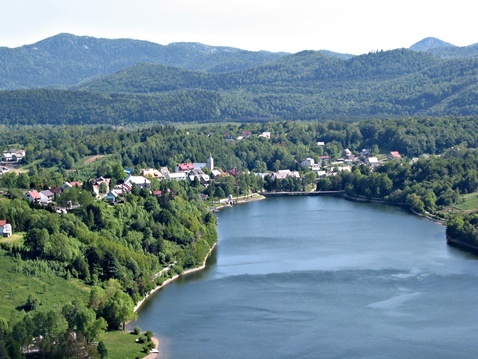 Fuzine (Fužine) are located at 730 meters above sea level, surrounded by centuries-old conifer trees, mistic lakes and picturesque landscapes.